I'll be straight up with you. Though I am a computer game hobbyist (I also fix and advise people on computer hardware for a living), I don't have the strongest hardware in my everyday machine. I don't have the best hardware on my gaming machine either. Yes, I have two full desktops. But I do have solid tech inside my rig. That is, my trusty AMD FX-8320 processor running both computers, my everyday-use computer and my gaming-only computer. I have two units. And I will tell you specifically why in this post. So I will start off with the basics. I came about AMD through word of mouth of one of my friends. Trust me, we used to be huge Intel fanatics up until he introduced me to AMD. I was looking for a brand new processor because I only then had an Intel Celeron CPU, which lasted quite a while but it was time to upgrade. My friend recently made the switch to AMD so I decided to give it a go too. Of course I wasn't rich enough to just buy a quad-core processor from a relatively unknown company to me just out of the box, especially considering I was with Intel for half a decade. That is a long time to stay loyal to a company, so switching out was pretty tough. I decided to just borrow my friends CPU for two days and see how it run. From there it was history. I bought my very own processor, built my computer from scratch, and just put it all together. Now I am running with an FX-8320 CPU. 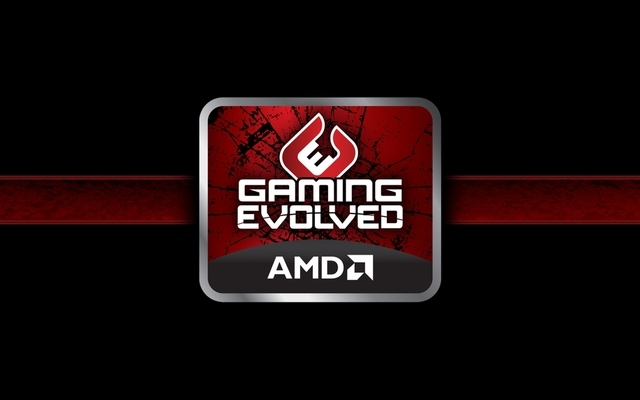 It definitely isn't the latest tech out there, as AMD has released quite a few more models. But it has done its service for a couple years now. Well, the gaming experience I get nowadays is awesome. While I can not run the latest 2015 games on maximum settings without sweating, I do not have a problem trying to play what I want. My go-to games are The Witcher 2 and 3 for singleplayer, alongside other greats like Skyrim and Dragon Age: Inquisition. For multiplayer, I am playing Battlefield 4 on PC, Titanfall, and Dota 2 (on high settings on the FX-8320). All of those games can run perfectly fine and smooth on medium settings, with the exception of Dota 2, which I have at maximum graphics and it still runs awesomely at around 80 frames a second). The AMD FX-8320 processor is a beast at handling multiple programs at once too. I frequently use multiple browsers, tabs, and programs when I work. In total, just the browsers and tabs alone amount to nearly a hundred different processes in my Task Manager on Windows when I really get rolling working. Factor in the fact that I am also running other programs like Adobe Photoshop or a video editing program, software that are very power hungry, and you can see what kind of workload I am putting on my FX-8320 processor on a daily basis. Yet it has lasted me almost two years now. As a PC specialist, I've analyzed the health of my processor through the years and it is currently still able to run for several more years. That, my friends, is pure value for a processor. I urge you to get a computing unit from the AMD FX series as soon as you can. They are extremely affordable, and if you get the latest model like I did a few years ago, it will last you a very, very long time.